Will is a Partner at Alpine and co-heads the firm’s portfolio, working with CEO’s in the online, retail, and business services sectors to find and build great businesses. Will joined Alpine at the firm’s inception in 2001 and has led the growth and successful exits of many of its investments. From 2004-2006, he served as the President and CEO of Great Falls Marketing, a past Alpine portfolio company. Prior to Alpine, Will worked in sales and marketing roles at the Clorox Company, as a strategy consultant for Mitchell Madison Group, and helped launch a consumer product start-up. 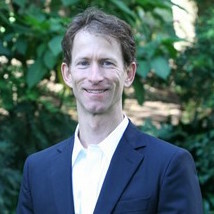 Will holds a BA from Colgate University, where he played on the soccer team, and an MBA from the Kellogg Graduate School of Management at Northwestern University. Kelly has served as CEO of EyeCare Partners since January 2017. He has extensive experience leading multi-site, doctor-partnership healthcare companies. Throughout his career he has built leading national companies in partnership with dentists, urologist, nephrologists, oncologists and infectious disease specialists, and now optometrists and ophthalmologists. Healthcare companies in which he has held a leadership role include United Healthcare, DaVita, Coram Healthcare and Bessemer Venture Partners. He grew up in Southern California and graduated with a degree in Economics & Political Science from the University of California Los Angeles, while playing on the 1974 NCAA National Championship baseball team. He received an MBA from Harvard Business School and spent the first eight years of his career in consulting, predominantly with McKinsey & Co.
Nidhi is a Principal at Alpine and leads new technology and business services investments. Prior to Alpine, Nidhi was an engagement manager with the Monitor Group (strategy consulting) and graduated from MIT with BS degrees in Math and Management Science (Operations Research).